Movies come and go, some of them are very original in terms of treatment, idea, technique, music and other aspects. Some of them follow the predefined and prooven path of success with usual masala, melody and all which can produce hit films. Today we are discussing Kahaani – a bollywood film (or should we say a Vidya Balan film as promoted in media these days…). Well, there is so much written about the movie that people already know a lot about the content of the movie, the excellent acting, the cinematography and other stuff. But let us have a look from our angle :). When titles are moving on, we see that a mishap takes place in the train which results into the deaths of a number of people travelling with the same. A poisounous gas was responsible (and of course the person who was behind it- because it was a kind of preplanned attack, not accident). It all starts when a pregnent lady Vidya Bagchi arives at Kolkata airpot from London. The strange thing is she is willing to go to a police station (Kalighat Police Chowki to be precise). With a generous police inspector having a helpful assistant sub inspector, this police chowki seems ideal. Satyaki (or Rana – as he is known as) is the helpful sub inspector, who plays a major role in the film. Vidya files the complaint of her missing husband Arnav (or as they say Arnab – in sweet Bengali language- like Bidya for Vidya). Arnav and Vidya both were IT experts and hence Arnav arrived on a busiess call from London to India (Kolkata precisely) on an assignment at National Data Center. Satyaki (Rana) Sinha offered a support to Vidya in finding her husband as Vidya helped him with the computer program. (Though if Vidya haven’t helped then also Satyaki must offered her the help, he was a genuine fellow yet who joined the police force since just around six months now). Satyaki offers Vidya to drop to the hotel she wish to go and on the way (though their media) we will see the real Kolkata which was getting make over for the Durga Pooja festival which is approaching. If you love detailing of the movie, the dialog by Vidya (by knowing why Satyaki is also known as Rana) “Ek hi aadmi ke do do naam, alag alag pehchaan, interesting!“, you can get a hint of what is approaching. Also when she was asked to sign the complaint at the police station she felt weakness and she needed to sit immediately on the chair – which is a common symptom during the pregnency, but you keep remember it when watching the movie ahead. We are not going into much details but the hotel they reached at is not of a standard category (at least where a software engineer of this caliber stay) and also the management of the hotel denied if any person named Arnav stayed there. Though Vidya produces the reference of the internals of the hotel to prove point and she was right in all the hints but there were no record of the person she is looking for. (Of course he is not just the person for Vidya.) Vidya stays in room no 15 there. She got be-friend with a boy Vishnu there. Vidya next meets Agnes D’mello – the lady who is the head of HR department at NDC. She confirms with full confidence that there was no person named Arnav came there to work on any project there. Rana came there to inform her about a death and to confirm with her to identify the dead person (to check whether he was Arnav or not), luckily he was not Arnav. Though by seeing the photo Agnes suspects that it resembles Milan Damji and to cross checked she tried accessing his records, however it was restricted and needs to get unlock from Tiwari who was on leave that day!! Agnes informed Vidya that she wanted to meet her next day in a restaurant in park street. Before Vidya leave to meet Agnes Rana comes there and informs her that they got it checked twice and even thrice at both Indian and British immigration system but no fellow named Arnave left London or arrived Kolkata during the date specified by Vidya! Agnes informs her that Arnav’s photo resembles their ex-employee Milan Damji and she is unable to access his records. Might be his photo is available at old office records and insists Vidya to check the photo once. Rasik Tyagi was informed that Agnes was looking to access Milan Damji’s records! Bob Biswas (an LIC agent who underperforms) was scolded by his boss for not getting any progress in the work or being able to convince any client and he is warned that he might be loosing his job in the future if the performance will not be improved. He receives photo of Agnes on his cell phone. Bob kills Agnes and we got to know that he is a man in disguise, he can kill someone so coldly that you cannot imagine and of course there is no chance to doubt him! Khan – second in command at IB meets Bhaskaran K. the commander in chief at IB on urgent bases and informs him that he wants to pay a visit to Kolkata as Agnes was murdered. He then tells that she was trying to access records of Milan Damji. Here we suspect that Milan Damji was someone which was important person by some reason and if anyone who tries getting his details are taken seriously by the high officials then he might have something to do with national security in either good or bad manner!!! Short tempered and mis-behaving chain smoker Khan was having only one thing at his heart – the security of the country. He meets Vidya and informs her that she must understand that there was no person named Milan Damji and she have to leave for London as soon as she can. Vidya though takes the challenge and finds the record of Milan Damji with help of Rana and others and asks Khan about the same. We then found that Milan Damji is…. Well, we will not reveal any details about the same so you can enjoy it while watching it. If to check performances, Vidya Balan is top-notch again. Well a movie like this after Dirty Picture (which was not so dirty and not so great also) proves her range. Her body language is an aide to her character. The performance of Parambrata Chatterjee is also good. Darshan Jarivala is in a small role proving his acting capacity. Nawazuddin Siddiqui (playing Khan) is convincing. We must not forget the performance of Saswata Chatterjee as the cold-blooded killer, who looks like a person who cannot kill a fly but kills people like nothing! Actually we must say that Sujoy Ghosh did a remakrable job while choosing the cast. Some of the actors like Saswata himself (who won the award and hearts of people by playing some nice roles in Bengali films) was not convinced that they can justify the characters they are offered but Sujoy not only trusted their abilities but also proved that he was right when choosing actors. The movie have no vulgarity as the plus point. A nice movie. Sujoy Ghosh approached novelist and script-writer Advaita Kala with an idea for the film. She was having a good relationship with the city of Kolkata. While metorpolitan cities have their limitations (in terms of emotional quotient), the warmth of Kolkata appealed her. She started writing the story in 2009 and completed in February 2010. The final script was of around 185 pages. 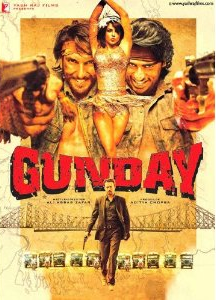 In order to film at real locations and to avoid unwanted attention simultaneously Sujoy Ghosh used guerrilla filmmaking technique. The climax scenes of Durga Pooja was actually shot on VijayaDashmi 2010 night at a real Durga Pooja festival. This film about a female protagonist was released on 9th March 2012, a day after International Women’s day. Sujoy is inspired by the work of Satyajit Ray and the window scenes of these movie are inspirationof the same for Satyajit Ray’s Charulata. Sujoy also confirmed various news sources that the scene when Rana comes meet Vidya to inform about a mishap incident he simply comes and takes his cap of… just it – is inspired by similar scene played by Shashi Kapoor in Deewar. The Usual Suspects (1995) and Taking Lives (2004) are the hollywood films which can be compared with this film in terms of twist endings. Sujoy Ghosh – won – Best Screenplay (Screenplay Writer – Original) – award at 60th National Film Awards (considered as the most genuine Film Awards In India) for Hindi Film Kahaani. The award consists of Rajat Kamal (Silver Lotus), a certificate and the cash prize of INR:50,000. Namrata Rao – won – Best Editing – award at 60th National Film Awards (considered as the most genuine Film Awards In India) for Hindi Film Kahaani. The award consists of Rajat Kamal (Silver Lotus), a certificate and the cash prize of INR:50,000. Nawazuddin Siddiqui – won – Special Jury Award (actor) at the same ceremony for his work in Kahaani, Gangs of Wasseypur – Part 2, Dekh Indian Circus and Talaash. The award contains cash prize of INR:2,00,000 in addition to a certificate and Rajat Kamal (Silver Lotus) award.